RRP £29.99 Unbeatable quality Skin at this price! Size 8 black long sleeve compression top. Worn once. Happy to combine postage on multiple items. A200 thermal gear is made from a scientifically advanced fabric, developed for SKINS to keep you warm out in the cold without overheating. Our fabric is a blend of Polyamide and Elastane, which combines high pilling and abrasion resistance with excellent breath-ability and a soft feel against your skin. Total length without 60 cm. Inside leg length 40 cm. Leg width at the bottom 11 cm. RRP £24.99 Unbeatable quality Skin at this price! 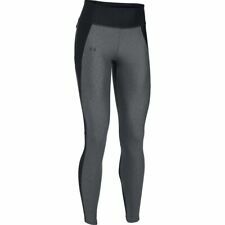 Adidas Ladies Climacool Techfit Running Yoga Compression Tights. Full Length. Small 8 / 10. 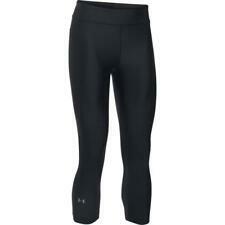 2xu womens compression tights Hypotik Mid Rise. Only used twice so in excellent condition. They have quite a specific fit, I’ve added a photo of the sizing chart but please check their website for definitive sizing. Dispatched with Royal Mail 2nd class. Smoke free home. Adidas Ladies Climacool Techfit Running Yoga Compression Tights. Grey / Black Trim & Contrast Stitching. Full Length. Due to an ultra-ventilated mesh no moisture, no humidity, no overheat Maximum grip is guaranteed due to the 3D.Dots acupuncture technology Those same 3D.Dots help absorb shocks and dampen impact; the Achilles tendon is cushioned and protected Moreover, the socks being positioned around the arch of the foot, compression stimulates venous return and strengthens stride posture One UP of these socks is their ergonomic toe piece that fits each foot; your toes are neither smothered nor compressed during effort Its seamless and elastic-less upper layer does not pressurise your leg As a blood-flow stimulator, the Full Socks become your ideal travel socks One-layer hem that replaces the initial double-thick one._ .